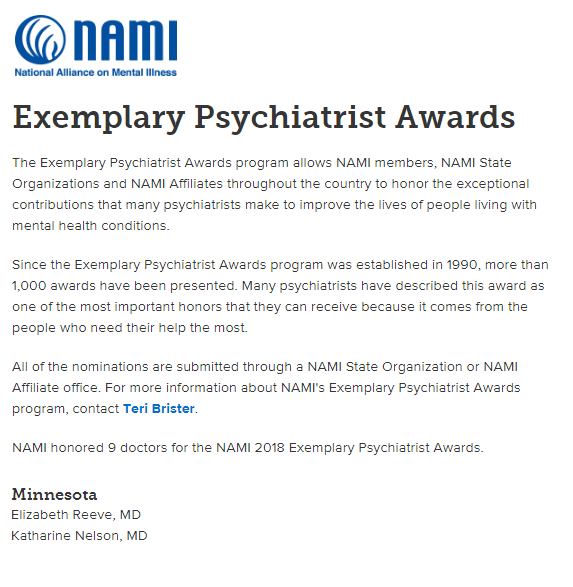 Dr. Kaz Nelson awarded "2018 Exemplary Psychiatrist"
​by the National Alliance on Mental Illness Minnesota! 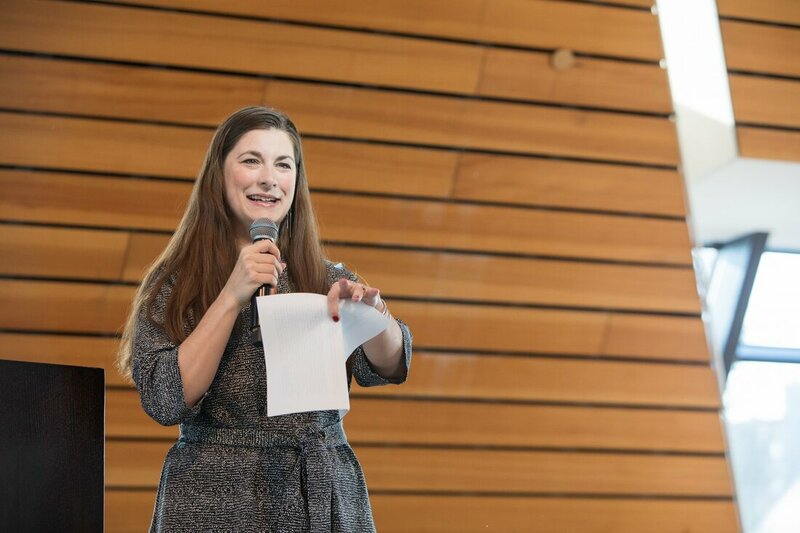 Dr. Kaz Nelson awarded "Psychiatrist of the Year"
​by The Minnesota Psychiatric Society! 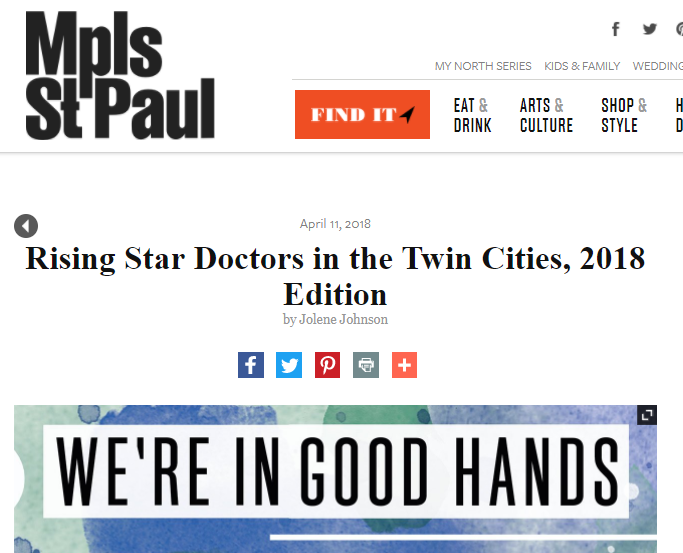 Katharine ("Kaz") Nelson, MD - Mpls St. Paul Magazine 2018 & 2019 Rising Star! 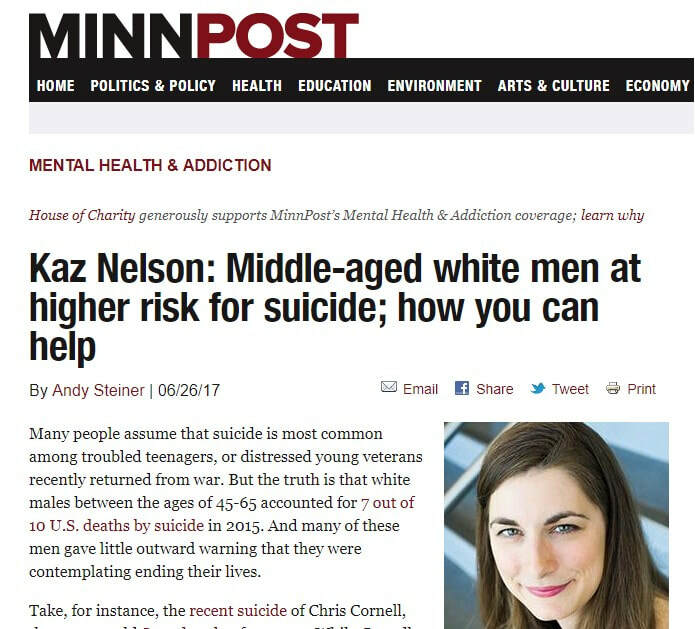 An article in MinnPost on 6/26/17 on the topic of suicide in men, by Andy Steiner. If you've had to wait weeks, even months, to see a psychiatrist you're not alone. 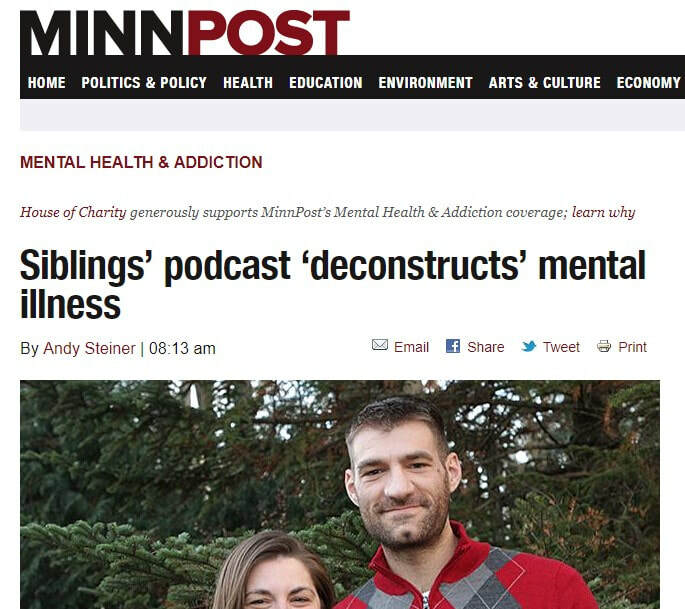 Minnesota is part of a national trend in a shortage of mental health counselors at a time when roughly one in five Americans will experience a mental health problem as an adult. The shortage is most acute if you are looking for help in rural America or if you're hoping to see a counselor of color. How did we get here? And what are the consequences of such an urgent shortage? To hear the full discussion, use this audio player. How can colleges help depressed students? Annually, Penn State collects information from students seeking mental health services at hundreds of universities. Data collected from the 2015-2016 school year showed, "anxiety and depression continue to be the most common presenting concerns for college students as identified by counseling center staff." 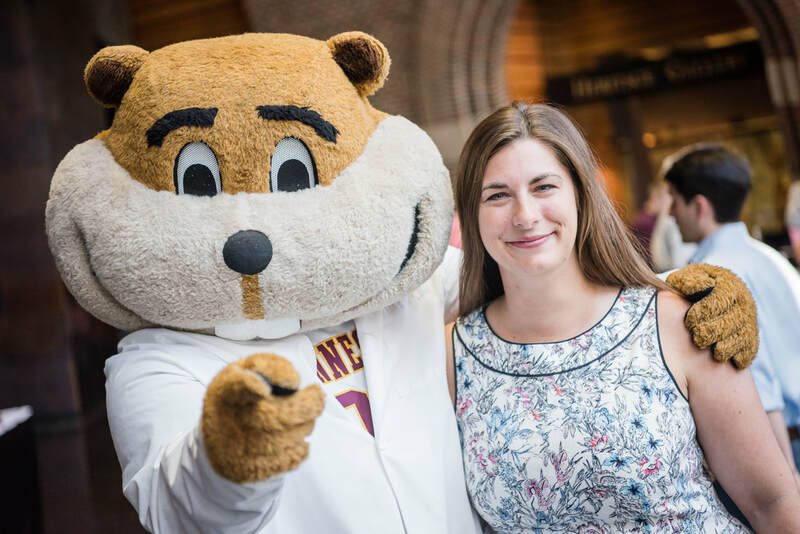 Kaz Nelson of the University of Minnesota's Department of Psychiatry, and Gregory Eells of Cornell's Counseling and Psychology Services, shared what colleges are doing to help students and what signs of depression parents should look for in their children. To hear the full discussion use this audio player.